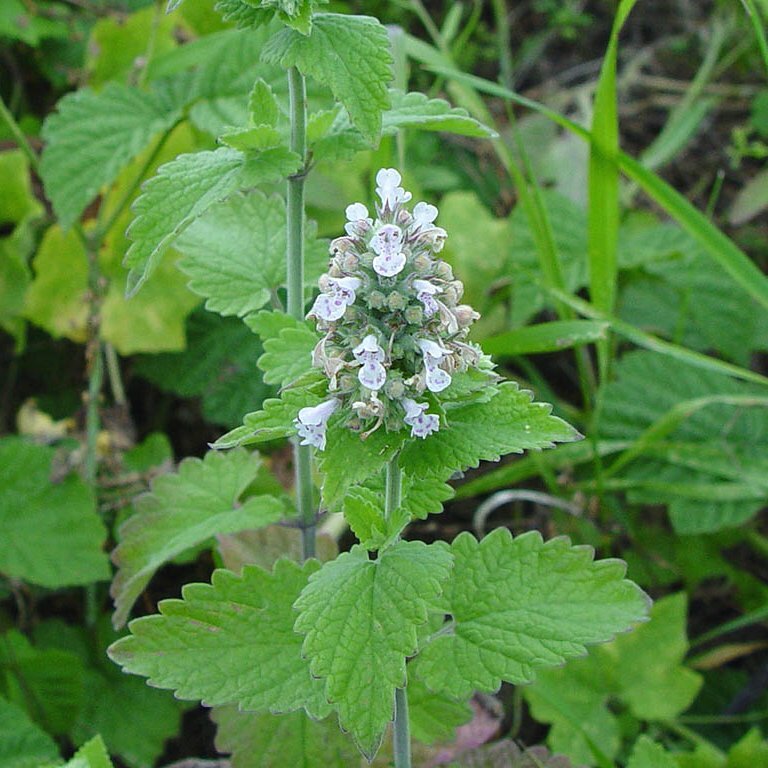 Catnip is a European herb in the mint family. European settlers are said to have brought it to North America. Catnip has a hairy stem and spiky, heart-shaped leaves. For centuries, the pointed purple-tinged white flowers have been used for medicinal purposes. It can be found growing in a variety of settings including gardens, roadsides, and near water. We've all seen a cat's reaction to catnip at some point. It usually makes for a good laugh watching a feline rolling around, meowing in pleasure, or running around the house as if on hyper-drive. What causes this reaction? Researchers believe it may have something to do with pheromones, odorless chemicals that cats use to mark their territory. Nepetalactone, and its metabolic product, nepetalic acid, found in catnip may mimic these chemicals, resulting in one happy kitty. But it's not all rosy. Eating catnip can cause aggressiveness. Not all cats are affected by catnip, however. 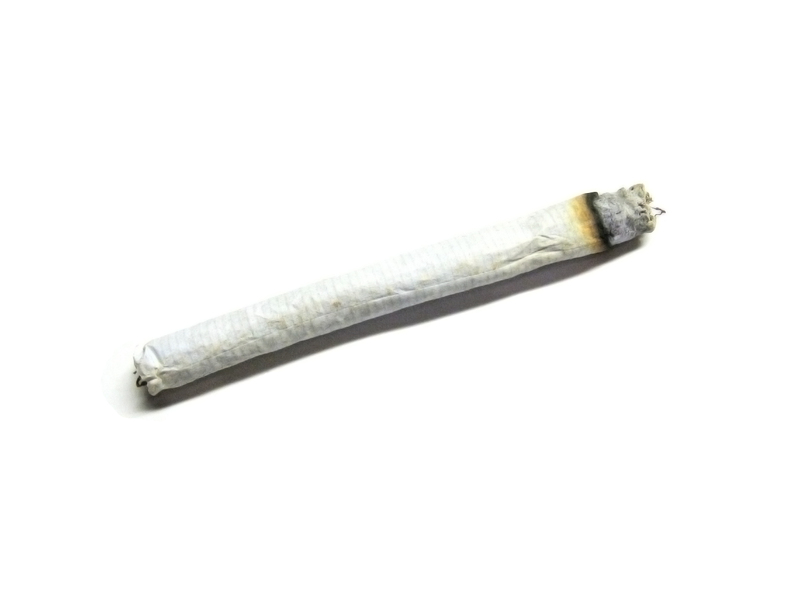 Since the reaction is hereditary, an estimated 50% of felines don't experience excitement or euphoria around the herb. A cat must have a specific catnip-prone gene. Kittens under six weeks of age also don't get a catnip high. Typically, the reaction emerges at around three months of age. Felines aren't the only creatures that have a reaction to catnip. Some mammals, wild cats, and insects catch a buzz from it, too. Forms of catnip include the leaf, extract, tea, juice, tincture, and poultice. Catnip may work for anxiety. Catnip interacts with lithium and sedatives. Always talk to your healthcare provider before taking a new supplement, including catnip. It's a good idea to discuss catnip with your doctor before using it if you're taking any medication at all. For tea, mix one to two teaspoons (1g to 2g) with dried catnip herb. For liquid extract, use .5 teaspoons to 1 teaspoon per 1 cup of water. Catnip can be consumed up to three times per day. Catnip is safe for most people -- except children. The herb is unsafe in high doses. It may cause headaches and vomiting. It is unknown if catnip causes skin reactions. Do not use catnip when pregnant or breastfeeding. Catnip may cause a miscarriage. Women with pelvic inflammatory disease should not use catnip. It may prompt menstruation. Catnip may worsen heavy periods. Stop using catnip at least two weeks before surgery. Follow all directions for supplement use. Supplements aren't regulated by the government. Safety and consistency aren't guaranteed, and effects may vary. Although we don't sell catnip, you can compare brands, quality and price here at PricePlow. Consult other reputable sources, such as scientific journals, for information on catnip before using it. Educate yourself about what you put in your body.